Just two years ago, Korean actor-and-singer Park Yong-ha harbored plans for greatness, plans that went beyond the Korean Wave. The 32-year-old was found dead early Wednesday morning. Park’s mother found his body on Wednesday at 5:30 a.m. at his residence in Nonhyeon-dong, Seoul. The police reported that Park died with an electrical cord tied around his neck. No suicide note was found. The police viewed Park’s death as a suicide based on the depositions of the deceased’s family. “While my son massaged the legs and back of his father, who suffered from the late stages of stomach cancer, he said ‘I am sorry. I am sorry,’ to his family before going into his room past midnight,” Park’s mother was quoted as saying in a deposition. News reports said that Park, who had devoted himself to nursing his ailing father, had been taking sleeping pills because he had been experiencing trouble sleeping. In the public eye, the singer-and-actor’s future appeared bright. He had just nabbed a lead role opposite “Coffee Prince” actress Yoon Eun-hye in a dramatic remake of the Hong Kong film “Comrades: Almost a Love Story” (1996) and had started a Japan concert tour before he died. “I like it now, but I don’t want to be remembered or seen, after the Hallyu trend has died out, as Hallyu star Park Yong-ha,” he told The Korea Herald in 2008. Park, who made his debut in 1997, was propelled to Hallyu stardom following his stint in the highly successful KBS drama “Winter Sonata” (2002). On the wings of his Korean Wave success, Park forged a career for himself in Japan, where over the course of five years he churned out 10 hit albums and singles and won four consecutive Japan Gold Disc Awards -- a first for a Korean pop artist. In 2008, Park revealed that the years spent in Japan, particularly when he appeared on talk shows, were some of the most painful during his career as a Hallyu star. “While I worked in Japan, these sorts of things, kind of, made me sad,” he said. After cementing his career as a singer in Japan, Park returned to Korean television in 2008 in the hit SBS drama “On Air.” Following his successful comeback, Park went on to star in the male-driven flick “The Scam” (2009) and the testosterone-heavy KBS drama “The Slingshot” (2009). Park’s death follows on the heels of actor Choi Jin-young’s suicide in March, nearly two years after his sister, actress, Choi Jin-sil, committed suicide in 2008. 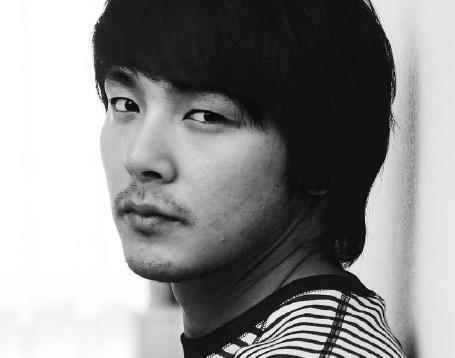 His passing serves as a reminder of the recent string of celebrity suicides, from the deaths of actresses Lee Eun-ju in 2005 and Jeong Da-bin in 2007 to that of actor Ahn Jae-hwan in 2008 and “Boys Over Flowers” actress Jang Ja-yeon in 2009. Park’s body lies at Seoul St. Mary’s Hospital Funeral Hall. The funeral will take place on Wednesday.